Sean Ottewell investigates novel ways of detecting oil and gas leaks which have been developed in response to a number of recent spills and accidents. Technology design and development firm Cambridge Consultants has unveiled the first stage of work that is set to give a much-needed boost to offshore oil leak detection. It has built an oil spill detection technology platform that is capable of detecting the natural fluorescence of even tiny amounts of oil in or on water. The company has a long track record of delivering innovative fluorescence detection solutions for challenging applications such as clinical diagnostics equipment, fertility monitors and pregnancy tests, and authentication of valuable documents. Crude oil is naturally fluorescent - so the company has now used its fluorescence experience to build the new oil spill detection technology platform (Fig. 1). "The environmental impact of oil and gas leaks has never been more visible to the public - with the recent disaster in the Gulf of Mexico - yet the solutions currently available do not meet all the requirements in terms of performance and reliability," said Frances Metcalfe, associate director, oil and gas, at Cambridge Consultants. Currently, aircraft use long-range radar and scanners to detect fluorescence - but they are expensive and difficult to operate. Many oil companies still primarily rely on unsophisticated visual reports which are not consistently accurate. Many leaks are not detected until a slick comes to the surface and is visible to the human eye. The new technology aims to provide a compact, robust system that can be permanently installed for example along subsea pipelines. Metcalfe added: "To be effective and trusted, any detection system must detect spills early enough but be immune to false alarms - otherwise it will not be used. Our work so far shows that any reliable oil spill detection system will need to use more than one sensing method, and the best combination will depend largely on where and how it is going to be used. An oil spill 'alarm' system of sensors distributed across the seabed - or a series of oil platforms - is going to need a different design solution from a system for scanning a harbour or stretch of coastline from a distance to track oil spills that might be heading for the shore." Apprion has launched ION Emissions Monitoring Application, which reliably provides predictable, accurate monitoring of gas emissions and imminent hazard situations in industrial facilities. Mounting environmental legislation places greater demands on managers of industrial facilities to maintain strict controls over a host of gas emissions. Yet managers are often left struggling with old emissions monitoring systems that require operators to laboriously transcribe data collected from sensors manually into spreadsheets; a methodology fraught with delays and error. The ION Emissions Monitoring Application automatically feeds data from cost-effective wireless sensors into the ION integrated dashboard and provides reporting capability that simplifies the challenge of monitoring, managing, and verifying a facility's environmental emissions. ION Emissions Monitoring is a part of the ION Condition Monitoring Application family and fully integrated with Apprion's ION System, a comprehensive industrial wireless application networking system. Combined with other safety critical applications such as ION Emergency Notification and ION Mustering, facilities will operate at the optimal safety level. ION Emissions Monitoring also serves as a framework to unify disparate monitoring hardware technology into a single dashboard for a complete view of emissions conditions and status. ION Emissions provides rapid updates and visualisations, based on actual weather and gas sensor data, showing gas concentrations at any point, dosage and/or building infiltration. The ION System dashboard allows operators to view real-time, colour-coded status of monitors, displayed in green, yellow or red. The system automatically triggers alarms if a gas sensor detects a chemical release, and the colour-coding shows the exact location and extent of the problem, allowing immediate, pinpoint response as well as accurate reporting and post-event analysis. 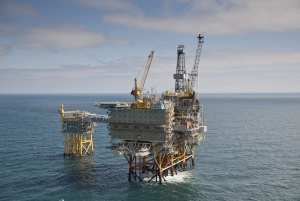 Meanwhile Statoil's internal investigation report following the gas leak on the Heimdal platform in May 2012 has been submitted to the Petroleum Safety Authority Norway. The gas leak occurred in connection with a routine operation where a valve was overloaded and gas leaked into the surrounding area. The investigation concludes that this was a serious gas leak. Under the relevant conditions however it is considered that there was no threat to the platform's main safety functions or integrity. Both the emergency response and the automatic safety systems worked as intended. No one was physically harmed in the incident. The cause of the incident is a complex chain of events such as errors in the original design, insufficient planning and failure to communicate. The total volume of gas emitted during the around four minutes of the leak has been calculated at 3500kg (Fig. 2). Statoil implemented four immediate measures after the incident. These measures involve improvement of the technical design and updating of system drawings as well as improvements directed at the way the company plans, assesses risk and performs its activities. Following the gas leak on Gullfaks B in December 2010 a thorough investigation was carried out and a comprehensive improvement effort was launched in cooperation with employee representatives.